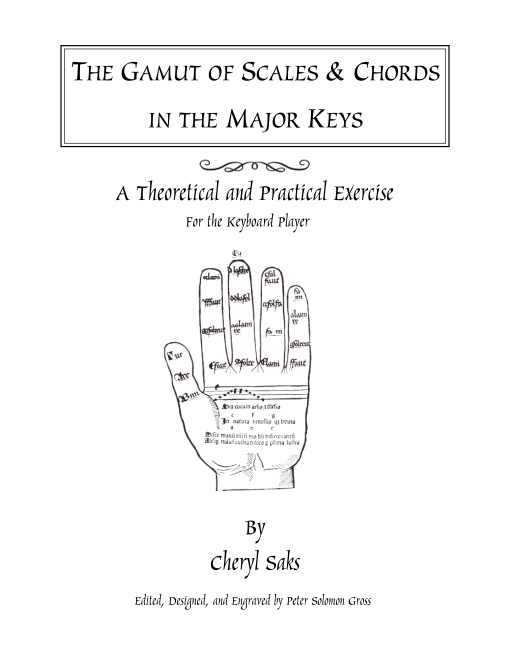 Author Cheryl Saks contacted me in early Fall of 2004 with the idea of taking cherished lesson plans from her piano tutorials and formalizng them into a cohesive workbook; The Gamut of Scales & Chords was born of this commision. 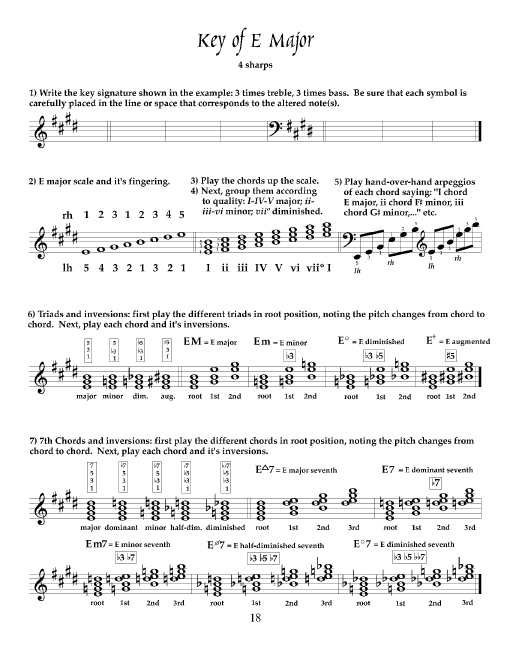 The book is, in itself, a mnemonic device of sorts, teaching scale and chord fingerings by virtue of establishing hand patterns and shapes, rather than concerning itself with harmonic theory (although the book does introduce the student to some the basic concepts of Common Tonality). 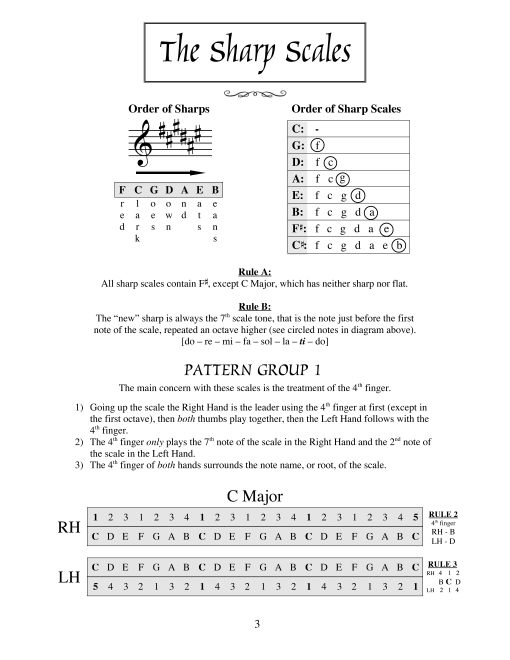 Not only does this aid in the memorization of the material, but it also enhances the students approach to practice and ultimately performance. The challenges of this project lay in first taking Cheryl's collection of notes, sketches, and ideas, and organizing them into coherent lesson plans. Secondly, these had to be compiled into a layout that conveyed everything clearly. Naturally it became vital to create strong visual paths of connection bewteen the ideas, encouraging the eye to flow naturally along the page, greatly aiding in absorbing the material. Lastly, this wealth of information had to be presented effectively without comprimising the aesthetic of clean, balanced, uncluttered pages. Therefore, the overall goals of each page was to convey the lessons clearly, and maintain a visual aesthetic. 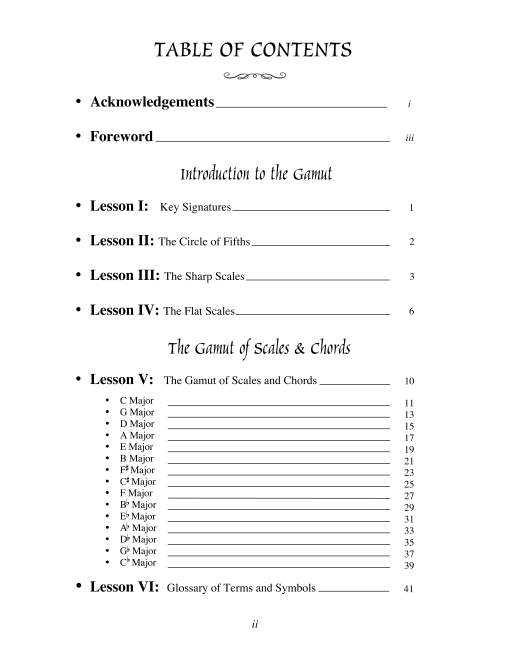 Below are the Cover, Table of Contents, and a few pages from the main sections of the book. You can now purchase the book directly from Amazon.com by clicking here. Click the thumbnail to see the full size images. 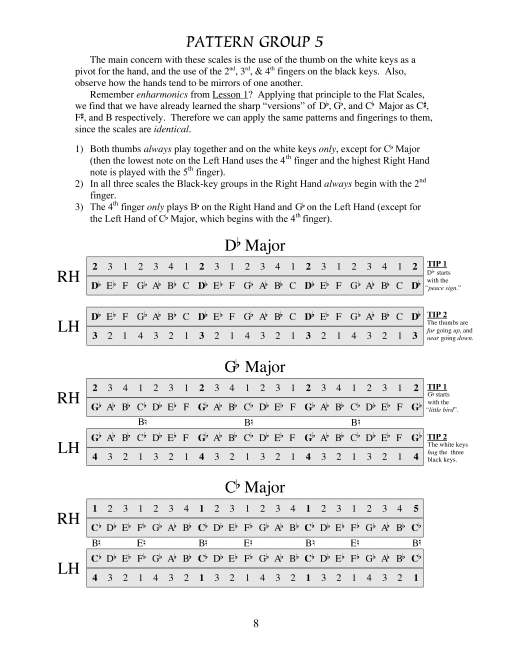 Aside from the Book Design and Editing, I also have worked as an Editor and Proofreader for three of the oldest, largest, and most distinguished international publishers of music in the world: Boosey & Hawkes, G. Schirmer and Hal Leonard. 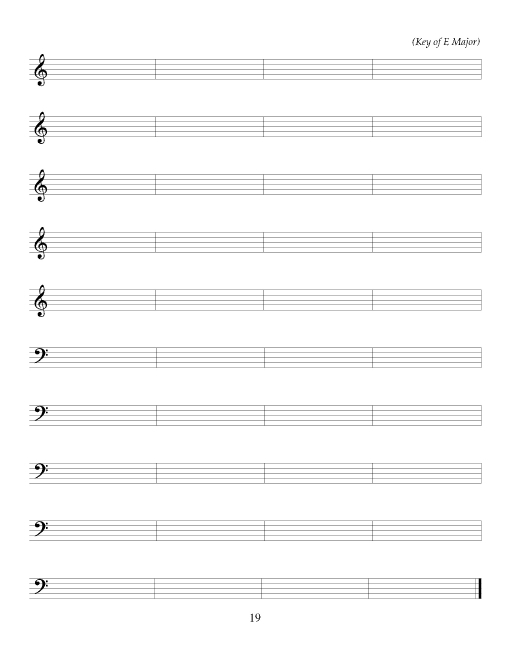 Here is a list of the composers and works I have edited for publication. All book samples appear herein with the authors permission. email - copyright © 2006, Sol Muse, Ltd.